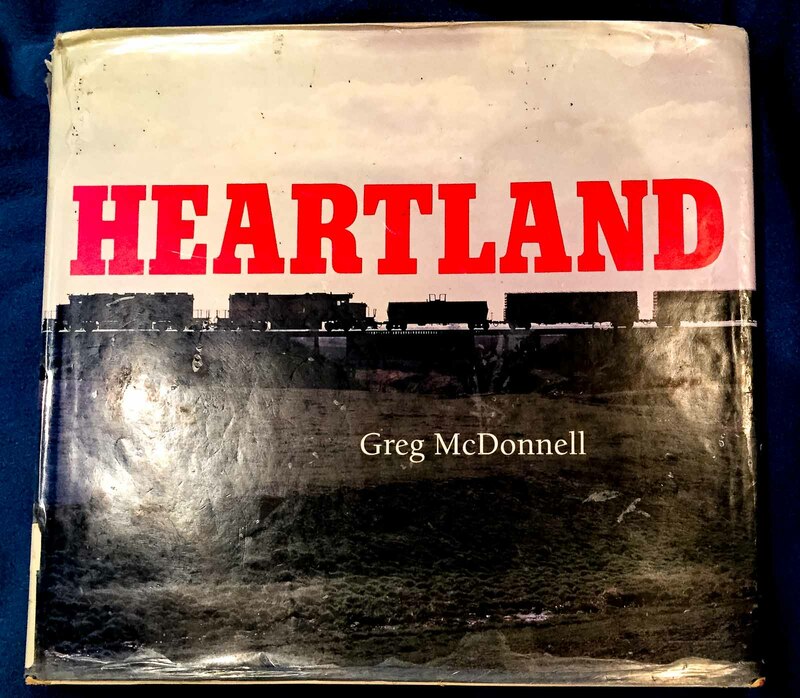 I'm ashamed to say that I had never read Greg McDonnell's classic book "Heartland" until last month. This book was published in 1993, for goodness' sakes! I rectified that error, and I'm glad I did. This is a book about railroading in the heartland of the United States of America - the states of Michigan, Ohio, Indiana, Illinois and Wisconsin. The book features hundreds of photos by Mr. McDonnell and many other talented photographers, together with the author's engaging and informative captions and essays. Greg McDonnell has a certain style of writing. It conveys a breathless excitement for the power and history of railroading, and one can't help but be drawn into the glory and excitement of railroading and the courage and determination of the men and women who work with trains. I would say a solid 80-90 percent of the photos in this book are great. They are great by virtue of the subject matter - rare locomotives or long-abandoned locations - or by the setting and composition. I'd say there are a few "meh" photos, but art is in the eye of the beholder. I have no hesitation in recommending this book. You can buy it on Amazon, or even better yet, find it in your local library like I did. This post contains affiliate links, which earn me a small commission at no additional cost to you.